Wendy Jean Murray, 41, of Pittsfield, denied setting fire to her neighbor's vehicle Monday, during her first court appearance on a felony arson charge. SKOWHEGAN — A Pittsfield woman denied setting fire to her neighbor’s vehicle Monday during her first court appearance on a felony arson charge. The woman, Wendy Jean Murray, 41, was arraigned in court just hours after witnesses told police they saw her set fire to something inside a Jeep parked in a driveway on Hartland Avenue in Pittsfield. Murray did not enter a formal plea, but she told the judge via video from the county jail that she was innocent. Police were called just before 1:30 a.m. Monday after witnesses said they saw Murray start a fire in the vehicle, which was parked just 10 feet from the owner’s house, according to the court affidavit filed by Officer Gregory Sides, of the Pittsfield police. Sides said police found Murray walking about 300 yards from the fire scene. He said that when he arrived at the fire scene, he smelled some type of accelerant, according to the affidavit. “I could see flames inside the Jeep; there was a small explosion inside the Jeep,” Sides wrote in the affidavit. The officer said he was able to put most of the fire out with a fire extinguisher before the Fire Department arrived. He said there was a plastic container of lighter fluid in the front passenger seat. A can of glass cleaner, which had been on the floor of the Jeep, had exploded, he said. Flames burned the underside of the dashboard and melted a portion of the center console. No one was injured. Police Chief Steven Emery said the fire caused several thousand dollars’ worth of damage to the jeep. He said Murray and the victim, also a woman, are acquaintances. The vehicle’s owner was asleep at home when police arrived and knocked on her door. The owner said that the lighter fluid had not been in her Jeep when she parked it, but that the container matched material she uses in her fire pit behind the house. Witnesses told police they had watched Murray walk behind the victim’s house before seeing her return and set fire to the Jeep. 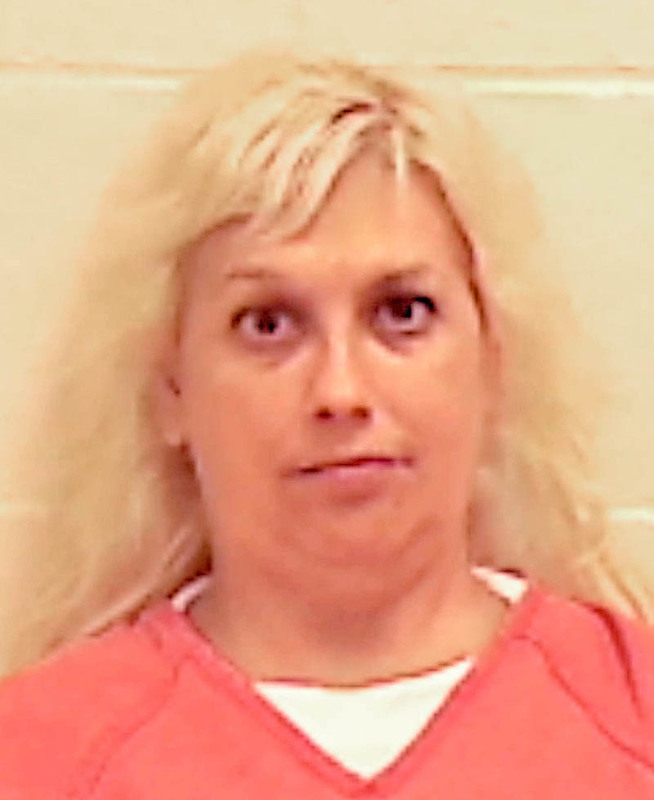 In court Monday morning, Assistant District Attorney Brent Davis told the judge that Murray is on administrative release from a conviction for operating under the influence, her second such conviction, and should be held without bail. Davis added that in the past 10 years, Murray also has convictions for writing bad checks, theft and disorderly conduct. Judge Dow set her bail at $20,000 cash and ordered Murray to undergo a psychological examination. Murray was represented by Skowhegan attorney Philip Mohlar, who assisted her with the paperwork for getting a court-appointed lawyer. Her next hearing is scheduled for July 17.